Sovereign Sports are specialists in constructing all-weather sport surfaces and tennis courts to SAPCA and LTA standards. 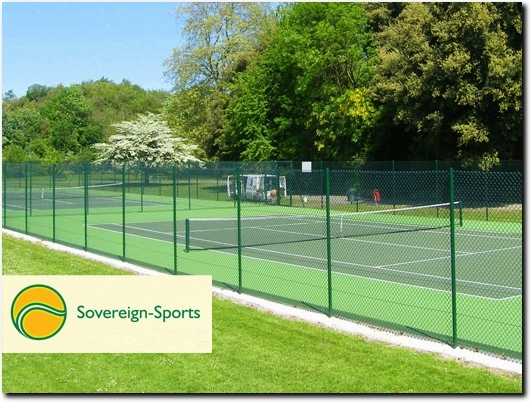 As well as tennis courts, Sovereign Sports are experienced In constructing sports surfaces for tennis clubs, local councils, sports clubs and private homes throughout the South East of England. Sovereign Sports have been trading since the mid 1970's, operating in Kent, Sussex,Surrey, Greater London, Essex and parts of Hertfordshire and offer some of the most competitive prices in their field and geographic area. A range of other specialist services are also on offer, including surface maintenance, perimeter fencing, floodlighting and associated work such as practice walls, paths and landscaping for courts. Get in touch with Sovereign Sports today for more information on their services and how they can help. UK (Rochester, Kent) based business - established over 35 years ago - providing constructing of all-weather sports surfaces and tennis courts. Website includes details of services provided, "meet the team" page, work examples, accreditations and associations, full contact details including company VAT number.